Mariah #5262 - Yankee Golden Retriever Rescue, Inc. Happy Holidays from Mariah #5262! Mariah arrived in the United States on November 12 as one of the first group of Golden Retrievers YGRR rescued from Turkey. In Turkey, there are hundreds of homeless Golden Retrievers who are either in overcrowded shelters or who are living on the streets and in the forest. These dogs, most of whom started out as family pets, lack survival skills and have very little chance at a happy or long life. 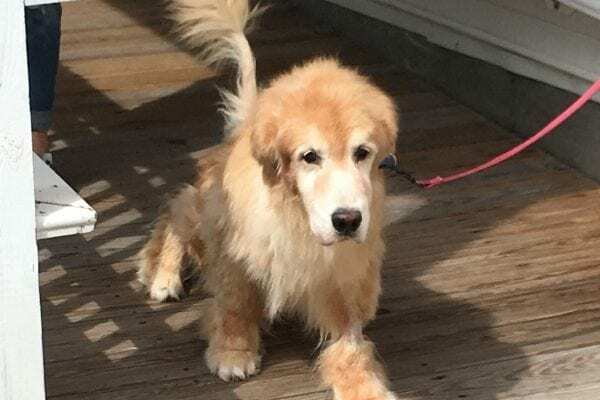 YGRR and many other Golden Retriever Rescue groups around the United States have stepped up to work with rescuers in Turkey, saving as many of these Goldens as we can. 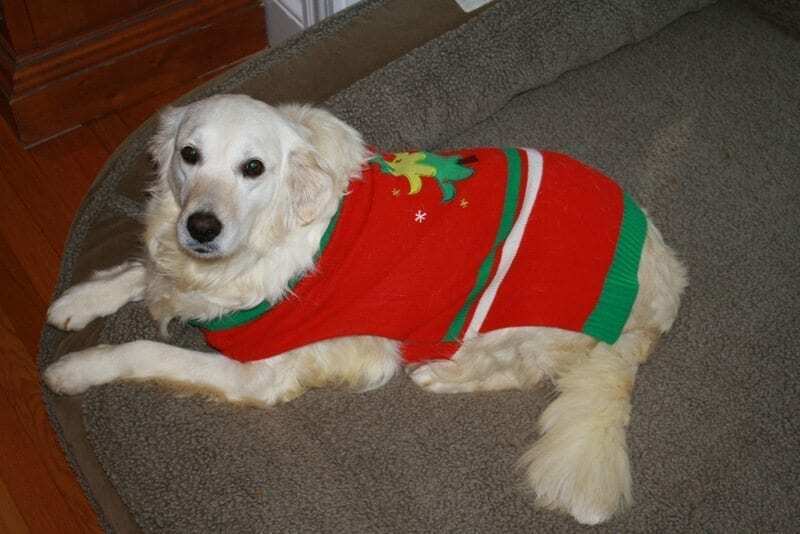 Mariah is a very affectionate and loving Golden girl. She is approximately 2 years old and has gone from fending for herself to being completely spoiled. Mariah has a new canine sibling named Connor and they can often be found sleeping side by side. She already loves to go for car rides and she finds her own reflection just fascinating. Mariah also loves her comfort, and if she is not right at her adopter’s feet, she can often be found in the bedroom lounging on the bed! She is getting more playful as she learns she is in a safe place and there is no doubt she will continue to blossom in her new home! Happy Holidays to all our supporters. We can only help the dogs in our care thanks to your generosity. We and all the Rescue dogs wish you and yours a Happy Holiday Season and a Joyous New Year!